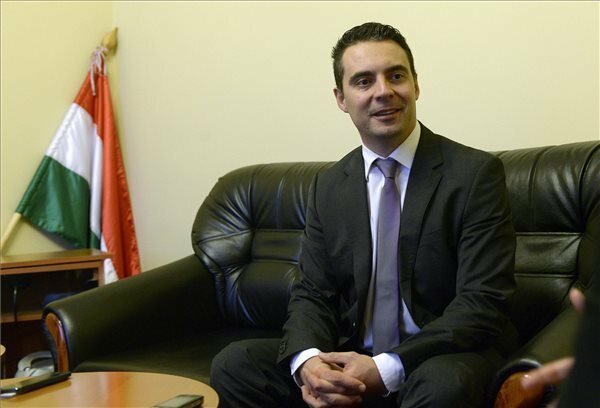 Budapest, December 2014 (MTI): Jobbik wants to change the government, but does not want foreign influence in Hungary – Gabor Vona said to MTI. 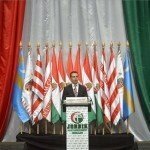 The chairman of Jobbik called to keep their values and fundamentals, which distinguish them from other parties and to adapt to the changing circumstances. 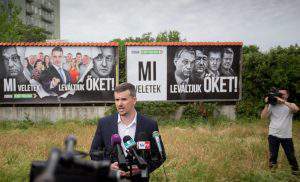 According to him, they have to adapt to the „erosion” of the governing party and to evolve in every segment in order to make Jobbik eligible to win the next parliamental elections. 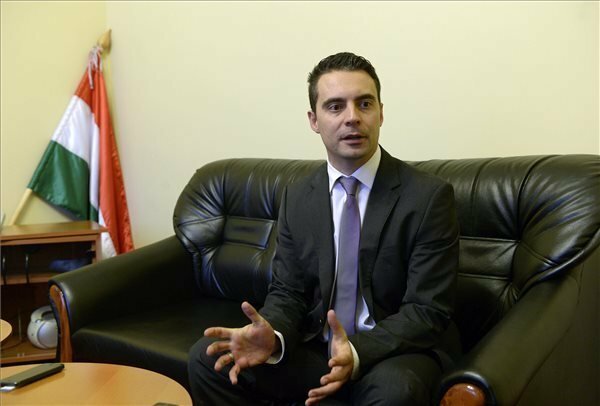 Referring to the latest opinion polls, he said that Jobbik is not only the firmly second most powerful party, but it is „spanning closer to Fidesz”, and the left wing parties are not able to get on the same level with Jobbik, even together. 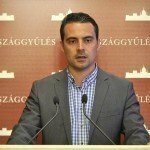 According to Vona, Jobbik has credibility, organizational and programmatic advantages against the left side. The recently-established government-preparing board has goals like making a list of tasks fulfilling until the elections and the creation of the structure and operation of the prospective Jobbik government. The few dozen experts are kept away from daily politics to able to think in perspective, MTI said. 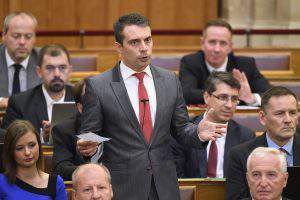 Gabor Vona called a major step forward that Hungarian and international press make more and more articles about the party’s chances to govern. 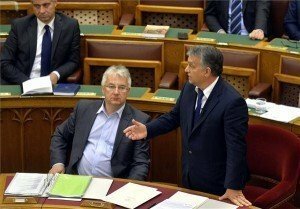 In his view, less and less people say in Hungary that his party is an extremist one, which Hungary should be afraid of. In those settlements, where there are Jobbik mayors, people do not live any cataclysms, they have an other program, which show a more liveable world. This turn must be achieved at the international level – he added that Jobbik is considered as a partner in Russia, Turkey and Central Asia; the task is the West also to give a chance for the party and judge the party in the light of the work carried out by them. Vona also talked about that the next year’s strategy will be finished in a fraction meeting in the end of January and he would outline the plans at the season opener. Priorities include fighting against corruption, creating jobs and solving social problems. Broadening of the middle class is marked as a task, which would be realized on the basis of merit, while he thinks Fidesz does this according to political loyalty, and the left side does not have any ideas, they are just inciting social tensions, MTI said. He emphasized the importance of the interim parliamentary elections in Veszprem, and he characterized their candidate, Andrea Damm as a real „big gun” and the „Joan of Arc of the currency borrowers”. Speaking of the demonstrations he said that organizers often made a mistake when they assume a positive goal, but they let their ranks „used politicans” and hence they can not show social power. Jobbik is trying to find solutions for the problems of all social groups, but they do not want to assist to „demonstrations organized by foreign intelligence services”, adding that they would like to change the government, but they do not want foreign influence in Hungary. 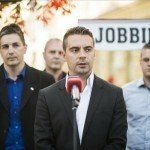 Chairman of Jobbik said about Eastern Opening that they understand it as a balance, not as ”changing the Western master for an Eastern one”. According to MTI, it should also be sought that Hungary opt out a NATO-Russia conflict and to remain neutral. Gabor Vona would like to begin a public debate about whether Hungary should be the member of the NATO or remain neutral – he thinks the latter would be the interest of the country. It would harm a lot of interest, but if Hungary wants to quit, then it must be respected. 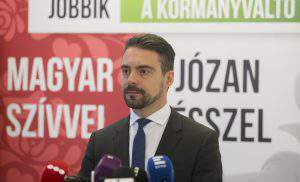 The pary leader called 2014 mixed, specifically: although they could not prevent the two-third, he considers the electorial appearances successful in terms of Jobbik. However, he classified the state of the country and the impotence of the government sad.